The arbitration should force Gazprom to fulfil June verdict. 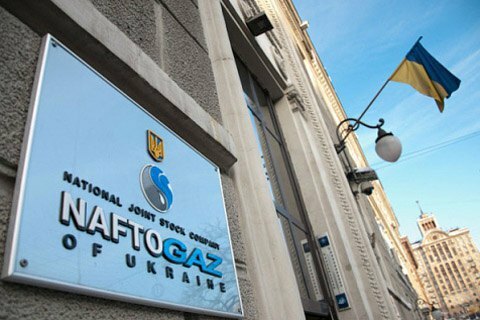 On Monday, 9 October, the Stockholm arbitration will begin hearings in the Naftogaz Ukrayiny dispute against Gazprom. "Since Naftogaz and Gazprom failed to reach an agreement on the implementation of on the court's separate award that the arbitration issued in June, the court must consider the parties' positions and take an appropriate decision, Naftogaz chief commercial director, Yuriy Vitrenko, said on Facebook Monday. Vitrenko recalled that in a separate award the arbitration fully and finally refused Gazprom's claims for the payment of fines that Gazprom is demanding in accordance with the "take or pay" provisions in the contract. The Stockholm arbitration said that this provision should be changed for the future. It recognized the right of Naftogaz to revise the contract price and bringing it to the level of the European market (at a specified hub) from April 2014, and Gazprom rights to receive compensation for the past overpayment. The parties should have tried and negotiated changes to the contract, which would allow for its future use (starting from the date of issuance of the new arbitration resolution and until the end of the contract in 2019) the principle that the arbitration ruled with respect to the "take or pay" provisions. The two companies are offered to a chose a type of contract linked to a specific gas hub, specified by the arbitration, and do the indexing (binding) in the formula price (instead of lining it to oil price), and recalculate the new price (below the old price) in April 2014 (ie, define the difference between the price that Naftogaz had to pay and a new price). Vitrenko added that the arbitration should issue an award regarding contracts on the purchase and sale, and transit of gas before the end of November 2017. With regard to gas transit contract, Naftogaz, in particular, requires that the contract should be brought into conformity with the European and Ukrainian energy legislation; revision (including retroactively) tariff in accordance with the terms of the European tariff-setting, as well as compensation for lost revenue from transit. The size of compensation may run into billions, well in excess of the 10 bn dollrs. "The size of lost revenue during this period amount increases every day," Vitrenko concluded. The Arbitration Institute of the Stockholm Chamber of Commerce (Stockholm Arbitration) considers two cases: regarding the gas supply contract (the decision was issued in June) and the gas transit contract (expected in the coming months).